Rhymes play a pre-eminent role in the life of a kindergartener. Yes, Rhymes and Rhythm are meant for enjoyment. It also enables the students to enjoy the beauty of expression, thoughts, feeling and music of words. 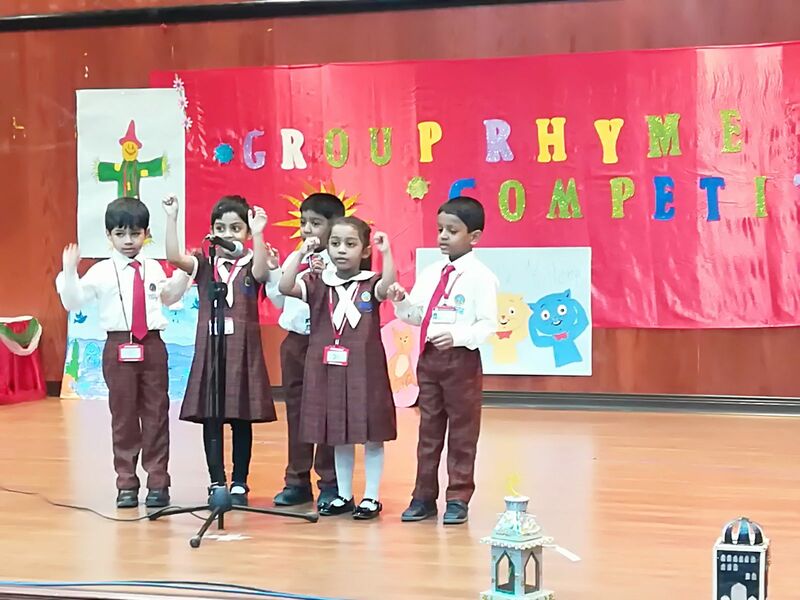 So to apply all these into practice children of KG2 were given an opportunity to participate in the Group Rhyme Competition held from 27th May to 29th May, 2018 at Bhavans SIS. 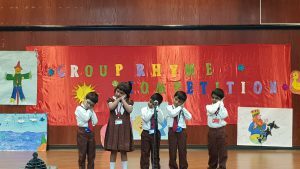 Each class was divided into groups and each group recited the rhyme allotted to them after introducing themselves. A commendable performance is one in which the meaning of the poem is powerfully and clearly conveyed to the audience. 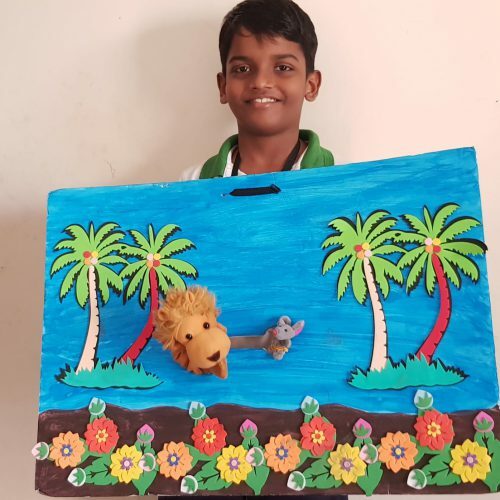 This was displayed beautifully by all the participant students of grade KG2 and also with a lot of enthusiasm. 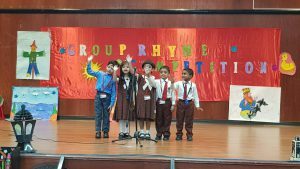 Toddlers fascinated their teachers and friends with their clear, distinct sound and memory skills while reciting rhymes. It was an excellent occasion for them to gain confidence through stage exposure. Everyone was stunned and spellbound after seeing their amusing performances. 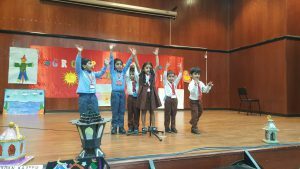 The judges of this event praised and applauded the performance of the children.